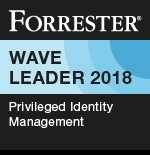 In the new research report, The Forrester Wave™: Privileged Identity Management, Q4 2018, Thycotic is positioned as a leader by Forrester Research Inc. among a select group of 11 companies across 35 criteria for evaluation. Privileged Password Safe/Vault, Users, Roles and Helpdesk Integration, and Reporting. 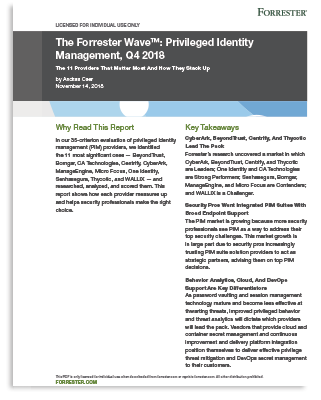 Who provides cloud and DevOps secret management to deliver effective privilege threat mitigation. 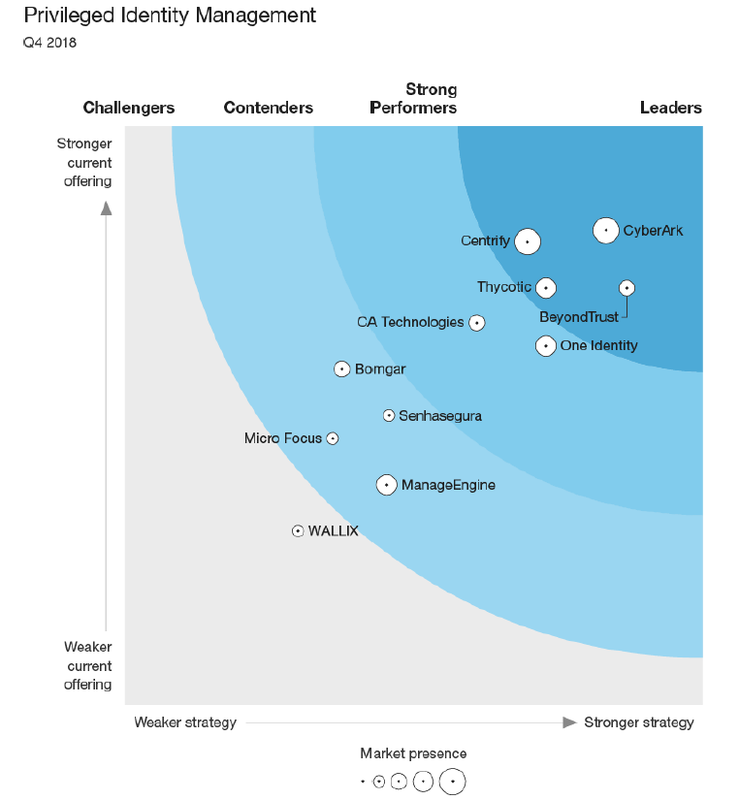 How improved privileged behavior and threat analytics dictate which providers will lead the pack.